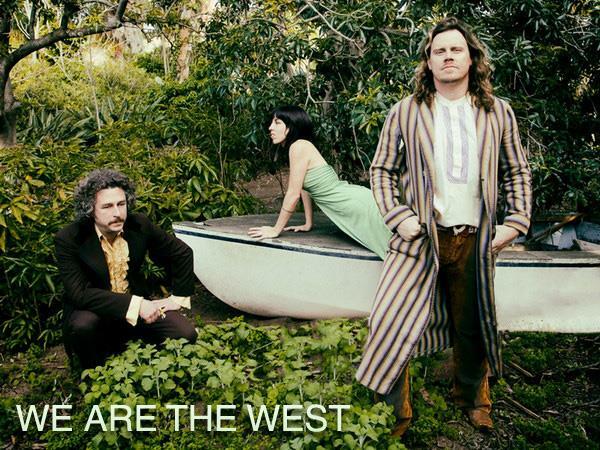 Join us this week as we welcome the experimental folk collective, We Are The West. Hailing from Los Angeles, CA., We Are The West are dedicated song-stylists who have developed a uniquely immersive approach to performance, playing both concert halls and improvised venues, including their preeminent underground parking garage concert series. Having released four EPs to date, on March 30, 2018, We Are The West will release their first full-length album, "The Golden Shore" (recorded by Grammy-winning engineer Husky Höskulds). The resulting sound is lush and fully-realized, the songs epic, intricate, and moving, the album, a journey from top to bottom, a grand achievement for a true 'garage band’. We Are The West, features singer/guitarist Brett Hool, stand-up bassist John Kibler and drummer/vocalist Elizabeth Goodfellow. The LA music scene’s best kept secret of the past six years, We Are The West’s 'Underground Series' presents a recontextualized and genuinely deep musical experience. The Saturday before each full moon, the band transforms an everyday office parking garage into an extraordinary performance space, akin to an immersive art installation. With opening sets from established artists and acclaimed bands [Lord Huron, Gaby Moreno, Micah Nelson, Aaron Embry], to chamber groups and avant-garde sound experiments, The Garage provides a thoroughly welcoming environment, a perfect setting for We Are The West’s transformative alchemy. We will talk to We Are The West about their upcoming schedule, get a behind the scenes look at their music, feature their latest songs, and ask them to share their message for the troops. Please be sure to visit We Are The West at http://wearethewest.com/ and spread the word. And as always we will give shout outs to our deployed military listeners. Our message to the troops: WE do what we do, because YOU do what you do.